Julian Douglas's most recent work, Talafawa, is masterful; a poingnant exploration of his love of world fusion. 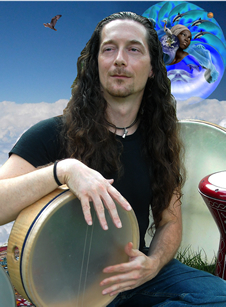 A writer/producer and percussionist, Julian and his exceptional collaborators weave texture, harmony, and rhythmic shapes from diverse influences into each piece, forming a compilation of New World Music. The result is beautiful, poetic and heartfelt experience which brought this enthusiastic response from a listener: "I just have to congratulate you on this masterpiece Talafawa! Extraordinary! What gifts you have to share! The Talafawa project serves as a NOBLE and SHINING example of Creative Expresson as it sings it's song of Unity." Listen to the musical wizardry of Julian Douglas and experience the walls around you disappear as you are transported to new and memorable sonic worlds.